We, Omicron, established in the year 1988, are known for the purpose of manufacturing and supplying the best quality of Grills & Louvers. The product range offered by us consists of Louvers, Wardrobe Louver and Industrial Grills. These grills diffusers louvers are manufactured from the finest quality grade of aluminum that sourced by our procurement agents from the trusted vendors of the industry. Owing to their easy maintenance, robust construction, impeccable finish, high strength and resistance against corrosion, these grills diffusers louvers are highly appreciated among our customers. 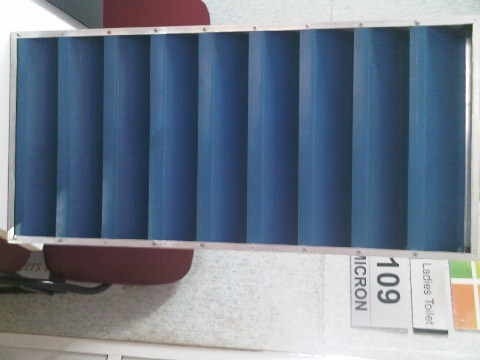 These grills diffusers louvers are used in various commercial, industrial and household establishments. Keeping the ease of our customers, we offer grills diffusers louvers in various sizes, thicknesses and designs. Octamec Engineering Limited, Tiger Steel Engineering Limited and Housefull International Private Limited, are some of our valuable customers associated with us over a long period of time.